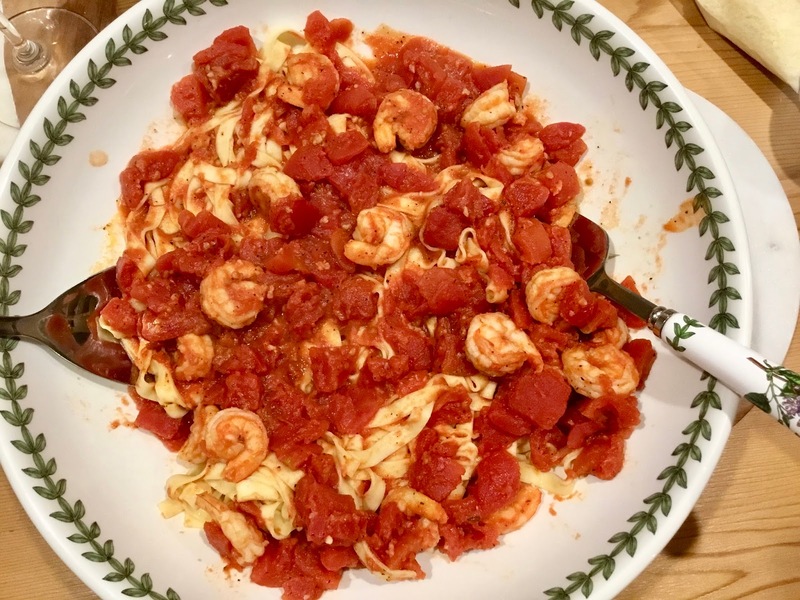 During the Holiday Season when busy is the norm with frantically list writing busy coming in a close second, I love to prepare perfectly delicious easy meals so inviting after a hectic day, just beckoning you breath and enjoy . Carving out a peaceful meal time is essential to keeping stress away and promoting healthy eating for me and my family. I don’t believe in eating on the run. I’m flabbergasted as I walk down the street surrounded by people eating food as they walk, my only rule breaker is ice cream. I subscribe to the motto that food is to be prepared with care and you should take time when you eat food. Sit, relax, enjoy, let your body savory the flavors as well as giving your system time to digest your food. When you relax enjoying a meal you don’t over eat either. Being present at the meal insures that you enjoy each bite signaling that you are satisfied and full. Even during this rushed season in addition to stoping to experience the festivities, make time for a relaxing meal. 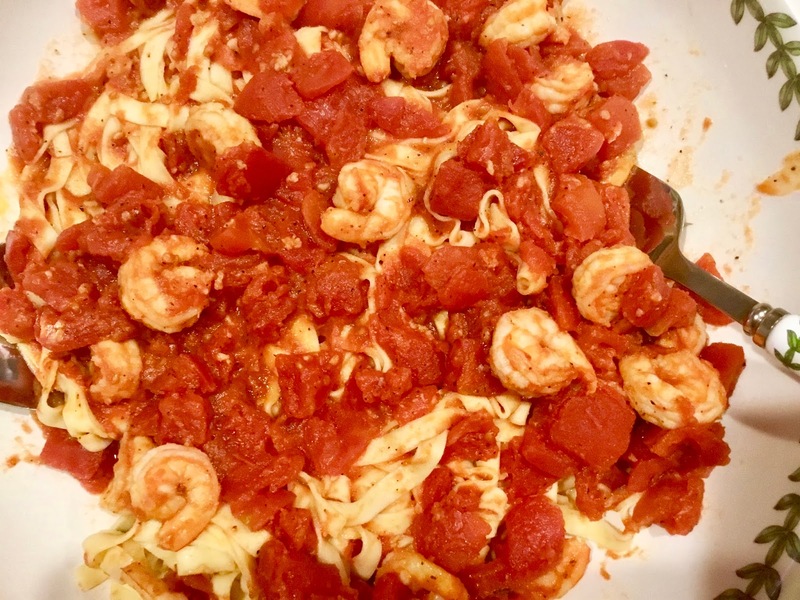 Add the shrimp, spaghetti, cooking water and basil sprig to the tomato sauce and cook over moderately low heat, stirring gently, until the pasta is al dente and the sauce is thickened and clings to the strands, 8 minutes longer. Discard the basil sprig. Transfer the spaghetti to bowls. Drizzle with olive oil and garnish with basil leaves. Serve with grated cheese. 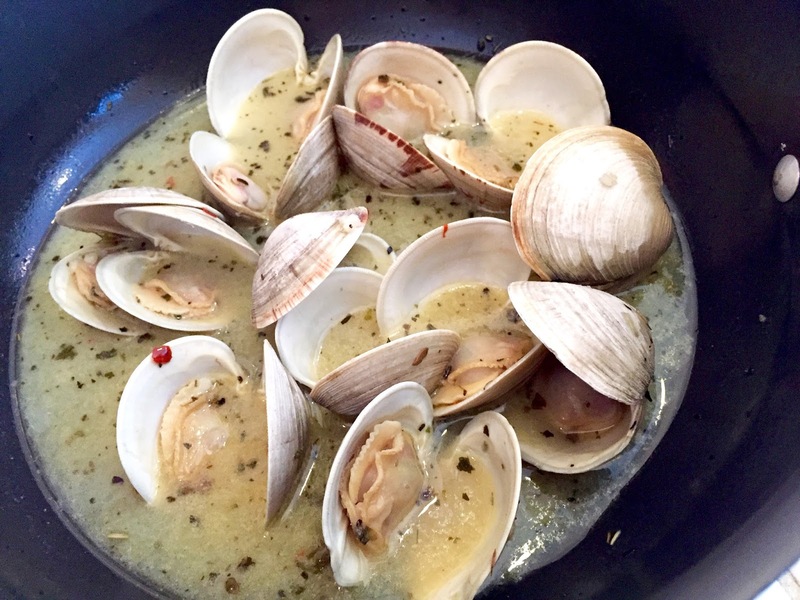 Love easy, tasty meals that are quick then you’ll love my Clams in White Sauce. 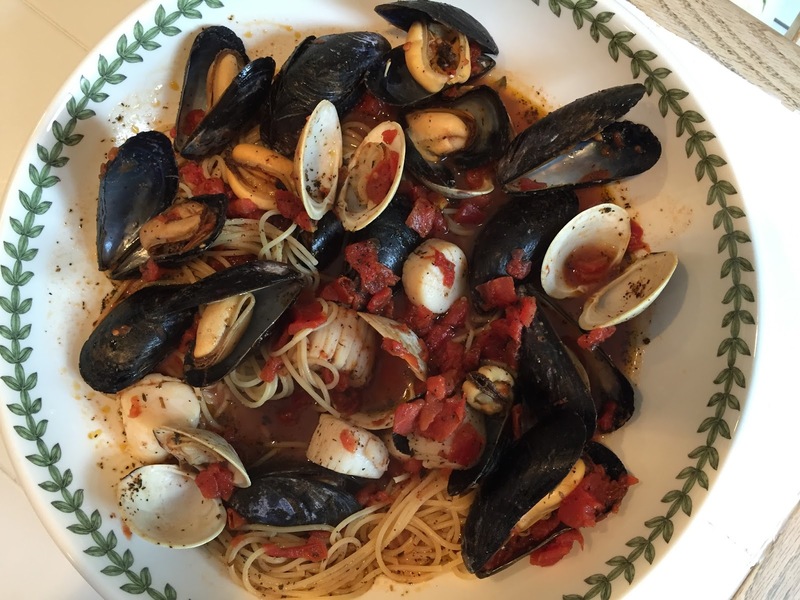 I make these clams as a light dinner served with salad and bread or a hardier meal tossed with pasta, side salad and bread. Either way these clams are so good. 1. Wash clams to remove any dirt or sand. 2. In a large pot, heat oil over medium heat. Add garlic; saute for 1 minute, or until tender. 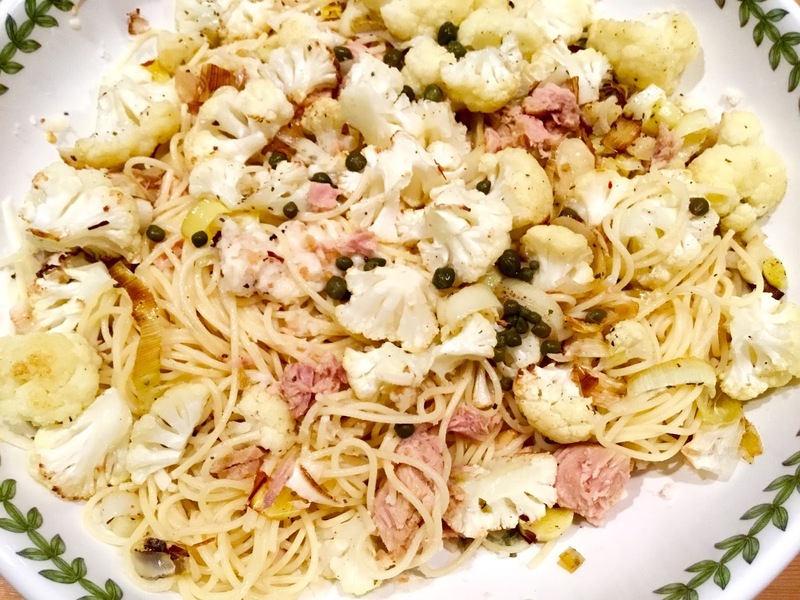 Stir in Italian seasons and red pepper flakes. Pour in clam juice and white wine. Bring to boil then simmer for five minutes. Add clams, cover, and steam till clams start to open. 3. Add butter and clams, cover, and cook till the clams open about ten minutes. Discard any that do not open. 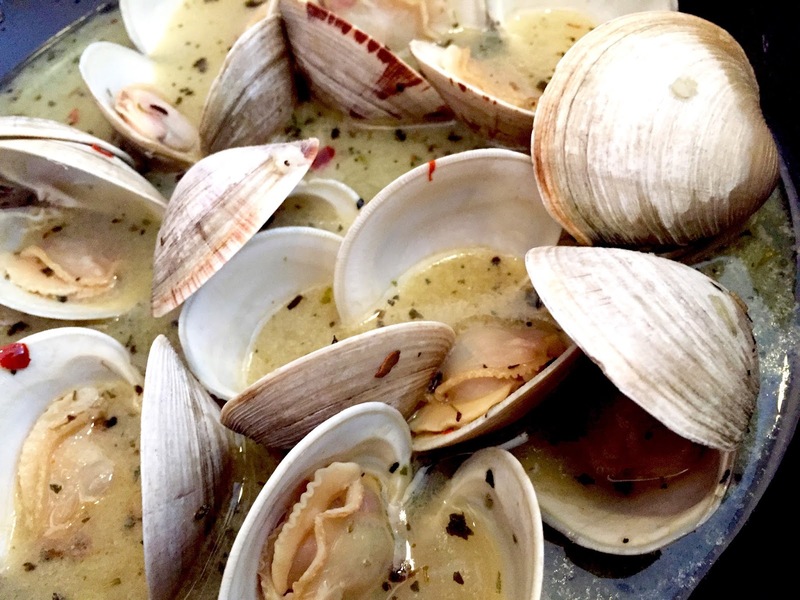 Transfer clams to plate. Serve with fresh bread and a crisp white wine. Springtime cooking for me always includes foods with asparagus and lemons. 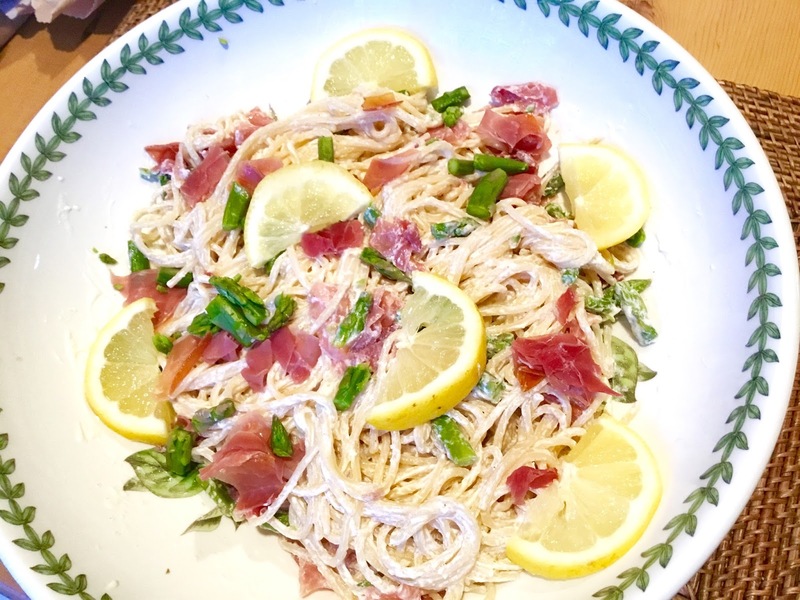 Add pasta, prosciutto and cream for an easy deliciously simple meal. My passion for good food leads me to create easy meals that are fresh and flavorful with simple ingredients. Eating food for nourishment doesn’t mean that we need to sacrifice on taste. 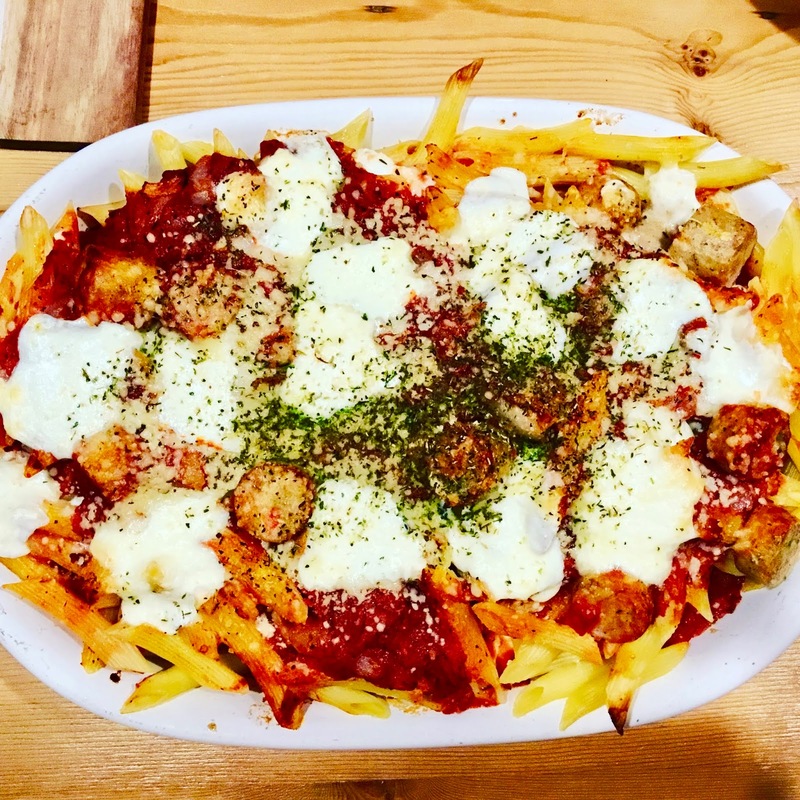 Food is meant to be savored, enjoyed with family and friends not to be rushed eating standing up or walking down the street. Make an easy beautiful meal, invite family and friends to relax while you all create lasting memories to cherish. Cook spaghetti in a large pot of boiling salted water, stirring occasionally, until al dente; drain, reserving 2 Tbsp. pasta cooking liquid. 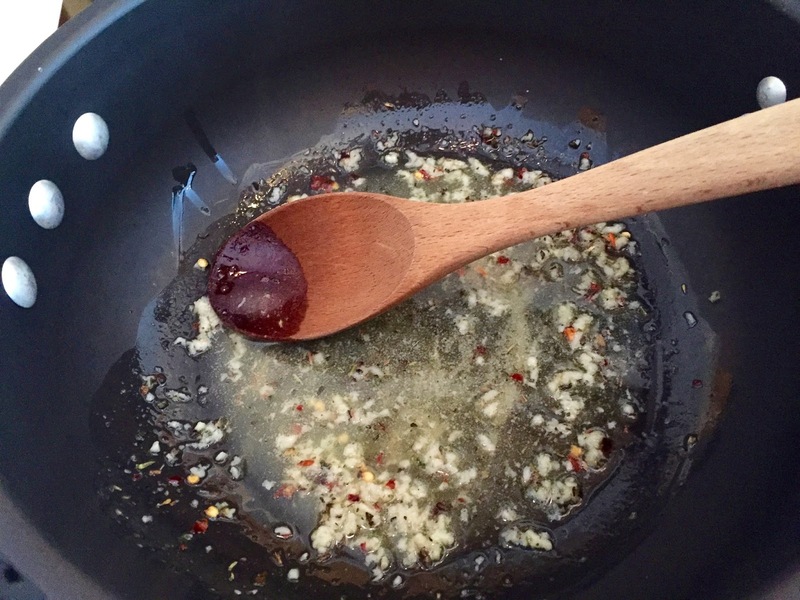 Meanwhile, heat oil in a medium skillet over medium-high. Add shallots and 1/2 tsp. salt; cook, stirring occasionally, until tender, about 5 minutes (do not brown). 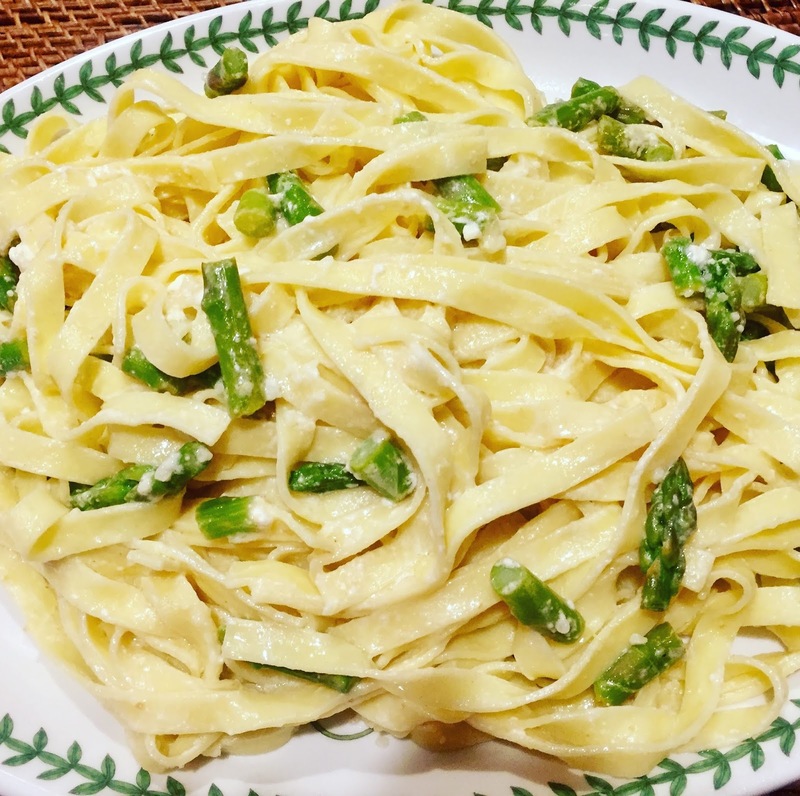 Add Prosciutto , asparagus, and cream. Bring to a simmer and cook, stirring occasionally, until sauce is slightly thickened, about 5 minutes. Remove from heat; stir in lemon zest, 2 Tbsp. parsley, and 1/2 tsp. pepper. Return pasta to pot. 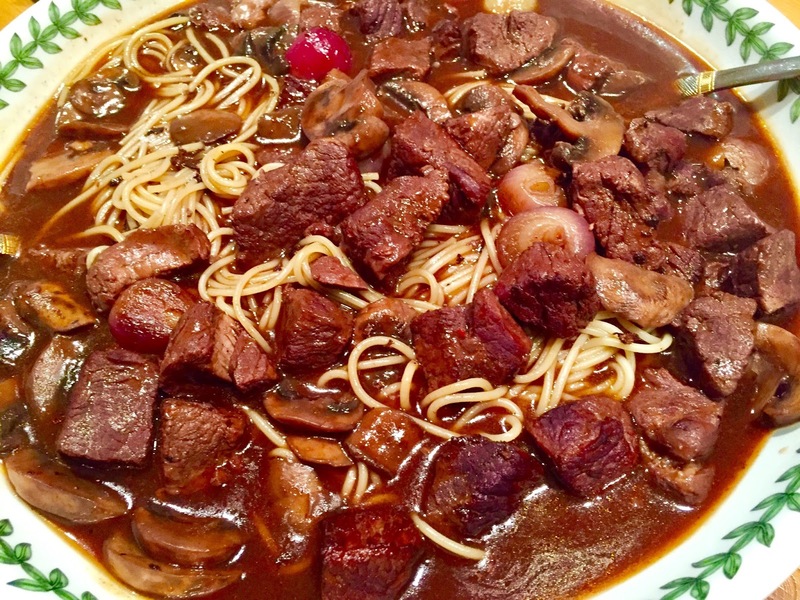 Toss with sauce and reserved pasta cooking liquid; season with salt and pepper. Place pasta on plate then top with parsley, Parmesan seasoning with more pepper. Garnish with lemon slices.